Against the daunting challenges confronting the Nigerian media, the Vice Chancellor, First Technical University, TECH-U, Professor Ayobami Salami has charged Nigerian journalists to be more vibrant and focused on setting the right agenda for development in Nigeria. Salami stated this on Monday at the commencement of the 2018 Press Week of the Nigerian Union of Journalists, NUJ, Correspondents’ Chapel, Oyo State Chapter and titled, “Promoting Professionalism and Good Governance”. “However, what is certain is that, like it did in the era of the military dictatorship, the Nigerian media will overcome. This is because the Nigerian media is gifted with some of the brightest and most courageous journalists on the continent. Therefore, I expect that the media would re-enact its heroic wand-not only to rescue the nation at such a time like this, but to also reinvent its practice and nudge it on the pathway of journalism,” he added. Speaking on TECH-U, which he described as the nation’s Premier technical university, Salami stated that the university was conceived to provide functional, skill-oriented education to bridge the widening gap between graduates from tertiary institution and the needs of the society, particularly the employing organisations. He expressed, “Nigeria is currently faced with myriad challenges, chief among which is youth unemployment. The problem of youth unemployment is multi-faceted. While the combined admission capacity of the Nigerian university system, public and private, is barely up to 40 percent of qualified and eligible candidates, the few that are able to gain admission and pass out from the system have been found unemployable for lack of entrepreneurial attitudes as well as employability-related hard and soft skills. Tech-U was therefore established to expand access to university education and more importantly to address the employability gaps through entrepreneurial orientation of the average Nigeria youth”. Salami said the university is a self-sustaining institution that is committed to raising socially-relevant and technically-competent graduates equipped with requisites skills to provide solutions to industry problems and to chart the course for revolutionary ideas that can develop the society. “With emphasis on science, engineering, technology, research and innovation for societal transformation, the university is unwavering in its steadfast pursuit to combat the unrelenting scourge of youth unemployment in Nigeria by producing outstanding graduates who are self-reliant and innovative”, he added. The scholar also stated that the institution is in partnership with foreign universities so as to provide international exposure and opportunities to their students stressing that scholarship opportunity is also provided for indigent students. The Chairman of AMNI International Petroleum Development Company Limited, Chief Tunde Afolabi, who is the Chancellor of the First Technical University, Ibadan, has endowed a scholarship scheme to support brilliant but indigent students that cannot afford university education. Awarded through the Josephus Foundation, the scholarship is strictly merit-based and covers tuition, accommodation and other fees of beneficiaries who are newly admitted undergraduate and direct entry students of Tech-U, beginning from the 2018/2019 academic session till the end of their studies. Speaking during the presentation of letter of awards to beneficiaries, the Vice-Chancellor, Professor Ayobami Salami thanked the chancellor for his thoughtfulness and generosity. He said the university is committed to its vision of world-class institution fully grounded in entrepreneurial practices, unique innovation, sustainability science and international best practices for radical societal transformation. In addition to the Josephus Scholarship and the local government areas-backed scholarships available for top-flights students at the STEM-based institution, Salami noted that the management is commitment to providing more support schemes to enable students have a best-in-class, globally competitive education. Salami, a Professor of Space Application, encouraged the students to justify their selection by demonstrating excellent moral and academic performance during their course of study. Pioneer recipients of the scholarship were selected from diverse applicants through a keenly competitive aptitude test. The scholarship will be awarded annually to newly admitted (UTME, JUPEB and direct entry) students and could be held subject to satisfactory performance, for the duration of a beneficiary’s programme of study. When Faruq Busari and Precious Oyatowo received the notification of their admission into the First Technical University, Ibadan, they certainly did not expect to be just N100,000 short of becoming a millionaire in less than a year for innovative project ideas. Like every other student privileged to join the band of Tech-U pioneers, their expectation were simply to come in, study and be equipped with the right skills for societal impact. What is more, being scholarship beneficiaries, it certainly didn’t cross their minds that their fortunes could change so soon. But then, fate had a different plan. The duo, like their contemporaries, had participated in a week-long boot camp on social entrepreneurship hosted by the university. The programme was facilitated by the Abuja-based Ventures Platform in partnership with Campus Lab, an Ibadan-based social enterprise firm devoted to raising entrepreneurs on university campuses in Nigeria. Designed as a platform to equip undergraduates with the necessary tool/competencies to build a scalable company, the programme had as its theme, ‘How to Start a Start Up’. For five days, the students were exposed to sessions facilitated by accomplished social entrepreneurs in such key areas as digital competencies, fundamentals of design thinking, basic enterprise knowledge/prototype and ‘go to market basics’. Each session, with its accompanying practical sessions, did not only task the creative abilities of the students; it also stimulated their critical thinking skills, enhanced team-building spirit and provoked unique solutions to diverse societal problems and challenges. To draw the curtain on the intensive drilling sessions, the students conscientiously applied their newly acquired skills. They were challenged to transform their ideas from mere fanciful thoughts into actual start-ups, with the possibility of receiving funding. As budding entrepreneurs, they reflected on the opportunities around them, conceived disruptive ideas, formed a start-up, and then pitched their ideas to a team of experts that consisted of veteran assessors like Emeka Ossai of Campus Lab, Kayode Oyewole of Ventures Platform and Dr Gbenga Fayomi, director of the Centre for Entrepreneurship and Innovation, Tech-U. Out of all the ideas pre-pitched for the grand finale, only 11 teams had the good fortune of receiving the nod of the facilitators for the final competition, to demonstrate, with all the tact and persuasive skills of typical entrepreneurs, why they reckoned themselves deserving of the coveted grand prizes of N400,000 N200,000 and N100,000 for the first, second and third positions, respectively. Other consolation prices included four Samsung Galaxy tablets, power banks, writing tools and an unhindered access to a global network of mentors. At the end of the highly keenly contested pitching session, it was quite a task for the panel of judges to identify the eventual winners, as each of the participating teams gave a hard fight with streams of highly thought-provoking and innovative ideas. Ultimately, Skilashi Wears of Busari and Oyatowo, an indigenous clothing line, emerged winner of the innovative project ideas competition. The second-placed team, led by IleriOluwa Ayegbusi, pitched on deploying comic to teach morals; while the third place went to Crescent Production Company, an all-female side whose pitch centred on producing a fine blend of plantain and guinea corn, might turn out an elixir for the ever-swelling diabetic population. Other teams received honourable mention for their efforts. Tech-U’s vice chancellor, Professor Ayobami Salami, was on hand to award the prizes to the deserving Tech-U stars. Commending the organisers for choosing Tech-U as one of the only five universities in Nigeria to benefit from the programme, he noted that the boot camp sufficiently aligns with the university’s vision of raising social engineers imbued with topflight innovation, technical and entrepreneurial skills. Impressed by the performances of his students, who incidentally are just on the verge of completing their first session, Professor Salami stunned the audience when he announced his decision to double the amount given to the winnings teams. It was indeed a great evening to be a Tech-Uite! Responding on behalf of the organisers, Ossai, an accomplished social entrepreneur, expressed profound appreciation of both Campus Lab and Ventures Platform for the support received in executing a hitch-free programme. He said he was happy his team chose Tech-U as the first beneficiary of the programme. Ossai recalled that he was particular inspired by the orientation and attitude of the university towards private sector partnerships; noting that from a mere e-mail contact, the school management did not only accept to explore the offer, but also embraced it. He called on other universities in the country to emulate the university. “In all my years of working on campuses, I have not seen such unrivalled commitment to innovation exhibited by any university management – not even in the so-called first or second generation universities,” Ossai said. Oyewole, a project lead at Ventures Platforms, an early-stage growth focused fund renowned for supporting leading start-ups such as Printivo, CoBuildIt, Piggybank, Wifi, accounteer, was full of praises for the devotion and commitment exhibited by the participants. He expressed delight at the crop of students at the university and the quality of training they receive. He pledged his firm’s willingness to not only sustain partnership with Tech-U, but also ensure that the students continually benefit from the global network of mentors and resources. As part of the distinguished audience at the grand finale were the deputy vice chancellor, Professor Sola Ajayi; and the director of the Vice Chancellor’s Office, Mrs Yinka Balogun. 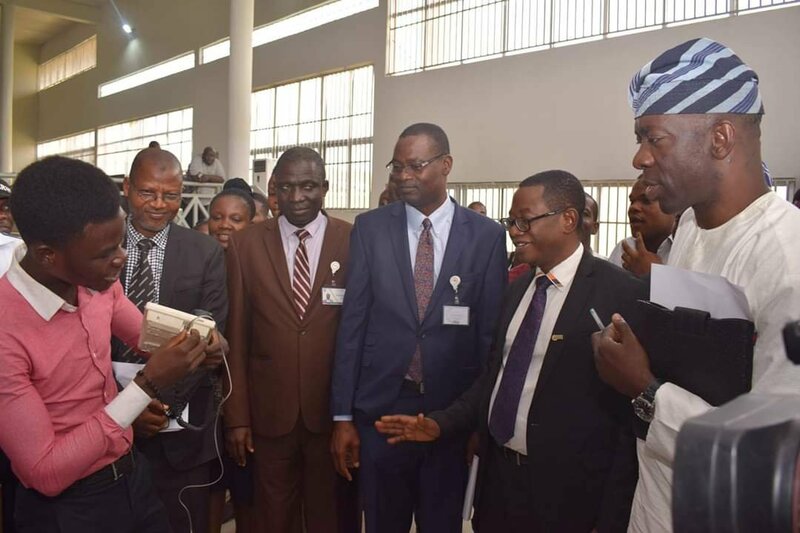 Technical University, Ibadan has been renamed as the First Technical University, Ibadan (Tech-U) by the Oyo State House of Assembly following the amendment of the 2012 law setting up the institution. This amendment however does not affect the current status of the university as a wholly public-owned institution. In a statement by the institution’s public relations officer, Femi Babatunde, the addition of the word ‘first’ to the university’s name is to reassert the unique leadership position of the school in the nation’s tertiary education space and beyond. Babatunde said the amendment provides legal authority for Tech-U to receive grants and to enter into partnerships with public or private sources, other than the Oyo state government. The Technical University, (Tech-U), Ibadan, Oyo State is an institution of learning which prides itself as the revolution the Nigerian university system has been waiting for. The university was commissioned in June 2017 and celebrated its anniversary last month. 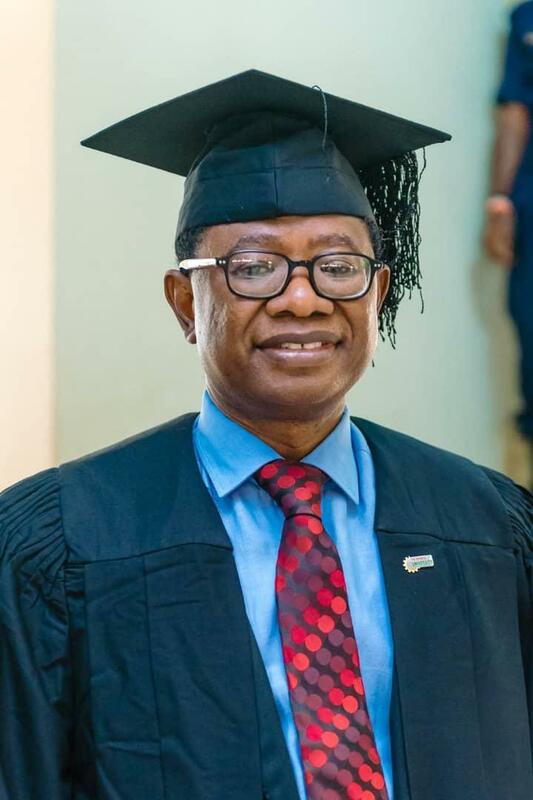 In this interview with PREMIUM TIMES’ Oladeinde Olawoyin, the Vice-Chancellor of the university, Ayobami Salami, a professor, speaks on the journey so far. PT: How would you describe the journey so far in the last one year? Salami: The journey has been tasking, rewarding and exciting. PT: How has it been running the university and realising the vision for its establishment in the last one year? Salami: I am happy that I have the opportunity not only to envision something but also to see to the execution. I am happy to pilot something right from the beginning and see it grow. When you plant a seed and you water it and in your own very eyes, it begins to grow and sprout, there is a kind of joy that you have, rather than just going into a field that somebody has already planted and just plucking the fruit. So I can say that here, it has been an exciting thing seeing that we started based on the vision of the visitor to the university, Senator Abiola Ajimobi. He had a dream, we are interpreting the dream and we are seeing the result. PT: The last time we were here, there were students coming in through scholarship, about a 100 students. What exactly is the population of the students right now? Salami: We were able to offer admission to 200 students through the last JAMB exercise but eventually we were able to matriculate 183 – that’s the total population of the students, including those on scholarship and those who are not on scholarship. PT: How have the basic academic activities been generally? Salami: The full academic activities have since commenced in the university and everything is going in line with our calendar. And so far, we have not had any form of disruption or any reason to adjust or deviate from what we plan to do. Rather, what we have is to add some things to what we have; so we have really done beyond what we planned to do. PT: I remember one of the fears we had with the idea ab initio was funding. In the last one year, how would you describe the experience with regards to funding? Salami: For me, it has been an interesting and exciting journey. There was a lot of skepticism when we started; a lot of apprehension on how it was going to run. But I can tell you that as of today, we are raising our head far above water. We are not only running, we are comfortable running this university so far. PT: In terms of staff strength, how would you describe the staff strength with regards to delivering on the university mandate? Salami: In the last one year, our staff have continued to grow. Like you’d know, for a university like this, it is not prudent to employ and engage staff that you don’t need. So, we have been engaging staff on the basis of need and I can say that for every area where there is a need, staff have been engaged. PT: What about their welfare, generally? Salami: Let me talk in terms of welfare because I believe without motivating the staff, you should not expect them to give their best. And the commitment of the staff is critical to the achievement of our goal and for staff to be committed, their welfare must be taken care of. One, we pay our salary as and when due. I can tell you today, our salary is paid 25th of every month. For the past one year, we have never failed and you can ask from our staff. PT: So nobody is being owed salary…? Salami: Not at all. We pay salary 25th of every month. And secondly, let me say that we pay more than what they pay in other institutions. We can say that at Technical University, our staff earn more than what staff of other universities earn and at the same time, we don’t owe anybody salary. When you talk about the pension scheme, in other institution, I came from Obafemi Awolowo University, with the pension scheme that operates there, I pay seven and a half per cent, the federal government is supposed to pay seven and a half, making 15 per cent. But in this university, we are implementing the new pension law which means the staff will pay eight per cent, the employer will pay ten per cent. So every of our permanent staff has 18 per cent every month as pension scheme (contribution) instead of 15 per cent that you’d find in most public institutions in Nigeria. That is to tell you how much we are interested in the welfare of our staff so that when they retire, they would have more from their scheme than their colleagues from other institutions. PT: Last year, you mentioned that that no student of this university would look for a job after graduation. It was a vision at the time, so, in the last one year, how would you appraise your realisation of that vision? Salami: With regard to implementing what we put on ground, I can tell you that we have covered a lot of mileage. For instance, we brought in so many stakeholders to partner with us in training the students. We signed MoU with the Nigerian Society of Engineers through which engineers who are actually on the field will train our students. We signed MoU with the private sector, through which our students will have access to hands-on experience in the industry to learn on site apart from learning in the university. So we have been able to engage these industry partners and they have signed on to this vision and ready to engage our students for hands-on experience. Apart from that, despite that we are just running this curriculum for less than one year, we had what we call a curriculum review which in essence, we brought in NECA (Nigerian Employers Consultaive Association), COREN and others because these are the end users, to come and look at what we are doing so that when these students graduate, they can actually fit in. Like I keep on saying, they can’t serve as ‘plug and play’, so that we can be double sure that we are actually on track. So we are not just doing it as if, since we have put it on, we run it till the end. We don’t want to get to the end of the journey before we now look at what are the inputs. So within the first semester of running this programme, we brought in NECA, COREN and the private sector, and they are already partnering with us. Secondly, we promised them hands-on experience, as I am talking to you, we have two workshops under construction that will be ready before the next three months. This is to tell you how far we have gone in actually implementing our vision and even going beyond our original plan. Here we train our students to think, not within the box, not outside of the box, but without the box. PT: Last year, you promised that the hostel accommodation along the Lagos-Ibadan expressway was temporary? What’s the latest about the construction of the permanent hostel? Salami: The arrangement is that before December this year, the new permanent accommodation will be ready on campus here and where we are using now will be for our staff. PT: The university location––along the Lagos-Ibadan expressway––is quite unique, away from the hustle and bustle of city life. Has it been a minus or a plus? Salami: For me, it is a plus because what we intend to do is to create a completely new community in this place. A place that’s going to be a model, a reference point, where people can run to, away from the hustle and bustle of the city. We want to create our environment and this place is good for that. Here, we have the opportunity to modulate. Now, we are located within the free trade zone within Oyo State where 175 private investors have signed on to establish their presence under the Pacesetter Consortium. As at now, we are sharing boundary with the Circular Road which means literally we are the gatekeeper for this city. In the next two to three years, you’d see a lot of activities going on here and you’d see a lot of industrial development in this area. PT: Aside teaching, one other important mandate of the university is research. Being a STEM-focused university, what has Tech-U done or plans to do on research for staff and students? Salami: Well, because we are the first technical university in Nigeria, we don’t want to create a new university that is just operating within the national space. We are focusing on the international – in terms of research, staff, content, faculty. To that effect, within the first one year, we have gone into collaborative arrangement and before the end of this month (June), we are going to sign an MoU with Texas Tech University, in America. By that MoU, we are signing ‘4 plus 1 X’ arrangement which allows our students to spend 4 years here if you have come for a 5-year programme. And once you can afford it, you spend the next one year in Texas Tech University and come back here to earn our degree and use that our degree to have automatic admission for master’s degree programme in Texas Tech in the U.S. This means that our curriculum (with what is going on in Texas) is comparable, and that means we can exchange our staff. We want to create an environment whereby our students can be here and get instructional materials from Texas Tech and then our staff will go into joint research partnership with the staff over there so that we look at the Nigerian environment and the challenges; and then we take advantage of the findings we have there to really deal with our local problem in the country. PT: What about the third mandate of the university – community development. How would you appraise your presence in this community? Salami: Let me say that community development is a continuous thing and as the university grows, our footprint in the community becomes bigger. But you’d agree with me that a year ago, this place was just like a jungle. Being here, we have opened up this place; economic activities are here. Let me give an example, some of the companies around come to our cafeteria to eat. Some of the travelers stop by, have some time to rest and take some snacks. Gradually, we are building a presence, we are creating a new hub of activities in this environment. We are still at the initial stage; in the next two to three years, you’d see the footprint. PT: Let us talk about the political concerns here. Last year, there were fears of the political establishment in Oyo state taking control of the university. Based on these fears, how have you managed the political atmosphere? Have there been issues with regard to the state government controlling the affairs of the university? Salami: Let me say it clearly and without fear of contradiction that since I have been appointed as vice-chancellor of this university, Oyo State government as a government; the visitor to the university, Senator Abiola Ajimobi, has never played politics with this university and I want it to be on record. And when you talk about politics, politics itself should be about development and if this university is about development, I don’t see why anybody would have problem with whoever is in government once this university is to solve the problem of this country. We are happy for the first time to have an institution that is not about paper certificate. We have a silent revolution taking place in the education sector, originating from your Oyo state. So I believe whoever is in government would be proud of that achievement and legacy and I believe we have no problem with sustainability. PT: On sustainability, the university is an initiative of the present government and in the next few months, we will have change in government. Is there any reason to think of uncertainty with regard to the future of the university as far as political change is concerned? Salami: First and foremost, universities are run by laws and statutes. So it depends on the law and statutes upon which the university was established and this is a university that was established from the word go to be self-sustaining; a public university with private sector orientation. So with that, except the law is changed, I do not see any problem with that. Let me say clearly that this university is not running on government subvention. What government gave us is the take-off grant; apart from the take-off grant, we are supposed to really, you know, generate resources to actually forge ahead while the government takes care of infrastructural development and that’s what we have been doing in the last one year. We have been partnering with so many agencies and we have been running the university smoothly. PT: The question is important because of the experiences we had in other states like Ogun, Ekiti and other places where changes in government led to change in public institutions’ management, with its attendant disruption and…? (Cuts in) If a university depends solely on government subvention, that will happen because he who pays the piper, dictates the tune. But that’s not the case with the Technical University, we are supposed to solve problems and we can’t solve problems without having resources. We don’t depend solely on government subvention. Yes, government has a responsibility to support education but what we are saying is that we are not going the way of other public universities that rely solely on government. We are able to survive because we do not depend solely on government. PT: Is the scholarship by the Oyo State government going to be sustained? We have established a scholarship basket. In that basket, we have government, private sector and individuals contributing. I am happy to announce to you that in less than one year, we over half a billion naira in that basket which we have been utilising to fund indigent students. PT: Meaning the scholarship is going to be sustained…? By the grace of God. It is something that the parents and students are happy about and it is going to have a spiral effect in the next 10 to 15 years down the road. Those who ordinarily wouldn’t have seen the four walls of the university, even a public university, are now being brought to a university like this through scholarship and they are embracing it with both arms. They are very happy about it from the feedback we have. PT: What do you think is the missing link in the Nigerian education system? Salami: The missing link in the Nigerian education system is about relevance. People go to the university to spend four, five, six years. At the end of the day, it’s not really worth it. At the end of the day, can they really fit into a part of the economy? We have cases where people go to the university, when they graduate, the society is not happy about them because they cannot deliver on their certificate. They, themselves are not happy with themselves because they have spent these years and at the end of the day, they are misfits. So that’s what the university is trying to correct to ensure that we produce graduate that are fitted for our economic development. Unless we do that, we are going to wallow in the dungeon of underdevelopment. What differentiates Technical University, Ibadan from other polytechnics or universities of technology? Thank you very much. I’ve had to answer this question several times and we have to keep on explaining until the general public get to understand the main difference between us and other universities or polytechnics. Let me start with the polytechnics. Polytechnics were supposed to be centres where people who have skills are trained, where you have technicians and technologists. Universities are supposed to be centres where managers are trained. So, the polytechnic graduates are expected to have the skills but no so much on the theoretical or managerial abilities. They are supposed to work under managers and universities are supposed to have more of the theoretical and managerial ability with less of the skills. But the Technical University is a university where we combine the two together, where the people who have the technical skills combine it with the theoretical and managerial skill. So that differentiates the product of the technical university and the product of a polytechnic. We can interrogate that further when you look at the graduates from the polytechnics. People are asking if the polytechnic graduates really have the skills they are supposed to have. When you look at the graduates from the conventional university, people ask whether they can live up to the expectation of the society based on the certificate they possess. I keep on saying that the issue in Nigeria is not all about the knowledge gap, it is about skills gap. We have the skills gap in Nigeria today that whether you go to the conventional university or you go to the polytechnic, at the end of the day when they graduate, they cannot serve as “plug and play” whether in an industry or in any organisation. The Technical University has come on board to ensure that we do not only address the issue of the knowledge gap but also address the issue of the skills gap in this country. What informed the recent change of name from Tech University to First Tech University, knowing full well that people know it as Tech-U. Was it really necessary? Recently, the bill or the act establishing the university was amended by the Oyo State House of Assembly based on the proposal that was sent to the assembly. About the change of name, I don’t know whether it was really a change of name or just a modification. We used to be called Technical University now we insert the word ‘First’ before Technical University, so we are now First Technical University. Let me explain the reason behind that. By the grace of God, what we have started in this place, in 10 to 15 years down the road, it is going to be a model that many government and many private sector will begin to replicate in several places. Therefore from the word go, it is important to assert our position in history. Historically, we may have technical universities in other parts of Africa; such as Ghana, East Africa and South Africa. But you can go and cross check it, none of those universities started at the initial stage as technical universities. They started as polytechnics that eventually metamorphosed to technical universities. Thus, you have colleges of education that are upgraded to degree-awarding institutions, but in the whole of West Africa, we were the first university that was conceived, established and operated from the word go as technical university. Just like when you hear First Bank, you don’t need to argue that it is the first bank on Nigerian territory. Therefore, First Technical University is to assert our place in history. Besides, the amendment also allows the university to now fully operate on the Public-Private Partnership, PPP model so that we can now be an hybrid of both the public and private sector. So we can combine the advantages of the public university and private university, eating our cake and having it at the same time. That allows us to enter into robust collaboration with the private sector in furtherance of the mission of this university to ensure that the laudable goals of this university are achieved. Let’s face the facts, it is only when people want to play politics that they don’t want to really say the truth. The fact remains that we know that education is social responsibility but the reality on ground is that government has not been able to fully fund the technical or tertiary education in Nigeria to the level expected. If the government is not ready to really pay the full bill and then we don’t want the parents to pay it, then definitely, there are going to be deficiencies on the part of the product. Here is a university that has the support of the government of the public institution. We are allowed to also leverage on all the opportunities available within the private sector so that at the end of the day, we would be able to have the capacity to do what is expected of us and then there will not be problem in respect to the expected product. There is public outcry about the high fees charged by your institution. Sir, I will like to know; at what point in time did you consider this PPP? Let me say it now and clearly that the university is owned by the Oyo State Government. The First Technical University is fully 100 per cent owned by the Oyo State Government. What the government is doing is to allow the private sector to come and complement its efforts so that the burden will not rest squarely on government due to limited resources. Government realises the fact that giving the competing demand and available resources, the government alone will not be able to shoulder the responsibility. So they are now giving a window for the private sector to come and complement the efforts of the government. It is not a profit- making venture for any private sector coming in. Let me tell you the type of investors we are having; one, we are looking for business partners. Business partners can only operate within a limited space within the technical university. Example is building of hostel, beyond that, we are also looking for angel investors. Who are the angel investors? They are people who see that this mission and objective is something they have been yearning and crying for but they don’t see the avenue or anybody who can approximate that vision. They have the resources, they have the good mind of giving back to society but they don’t see anybody doing things they want; now, they see us doing it. Such persons don’t want to be known, they don’t want profit, that is why we call them angel investors. They are not looking for name, returns and recognition. They just see a worthy cause. Within the first year we have operated, we’ve had angel investors in this university. Those who gave us things uptil today are not mentioned, they are not looking for it and they are not getting any return. They just see that this is something that is good for this country and want to be part of it, that is why we call them angel investors. Then, we also have legacy donors; they are also not looking for profit but they want to immortalise their name. They see a worthy cause, they want to say I am part of it and not that they are expecting anything. Let me give you an example of the legacy donor we’ve had. AMNI International Petroleum Company. The CEO is Chief (Dr.) Tunde Afolabi. They, on their own, have decided to build AMNI International Institute in this university and that will cost over N1billion. That institute is going to be built, it is going to be named after AMNI but they are not expecting any profit, they are not looking for any reward or any returns but they just see that this is a mission that is worthy of supporting.